Today’s Sundays with Friends is coming to you a little differently today as well. Read on to find out how a new fan, Mark, contributed to today’s Sundays with Friends. I recently posted on The Onyx Plate’s Facebook page, which you can find by clicking here, that I was looking for side dishes for a Cook Out we were slated to attend. (That sounds so professional… “slated to attend”.) 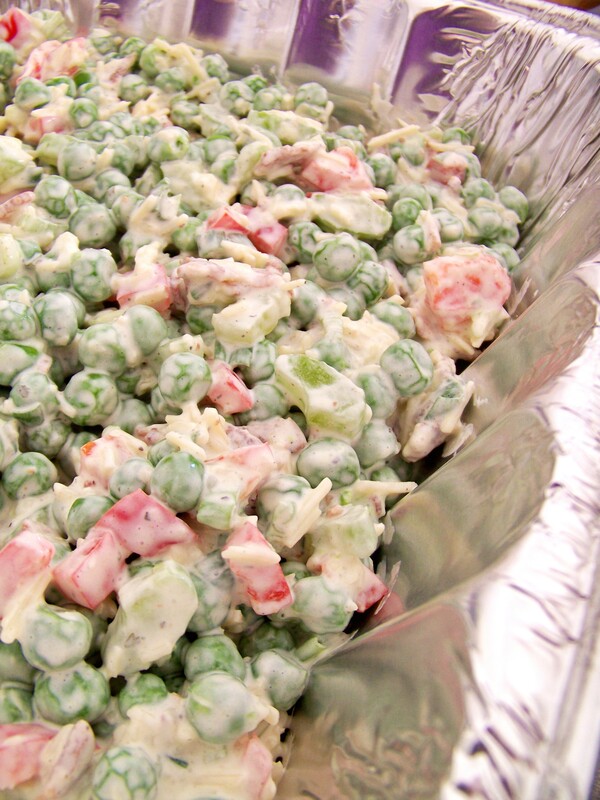 I received a suggestion from a fan named Mark to make Pea Salad. Pea Salad? (Ha, I just thought to myself that I have everything I need to make another one today! Yay! Ok, back to the story, folks. My apologies.) First off, I knew the hub wouldn’t eat it, and frankly, I wasn’t irritated with him currently, so the devious nature wasn’t there. But, I did know that it sounded great. So, I began the process of my Pea Salad. So, with Mark’s genius and inspiration now in my head, I proceeded to make my own version. I carried it to the Cook Out and it received amazing reviews! Keep in mind I had never made a Pea Salad before. Sure, I’ve had the peas when Maw-Maw makes her 7-Layer Salad, but nothing like this. Also, one of the men at the Cook Out said that he doesn’t like Mayonnaise, so when I advised him it was Sour Cream, he was very pleased. With this being said…on to the recipe, and thanks again, Mark! Time to go make another one for today’s entertaining! Oh yeah…for the record…the hub loved it! 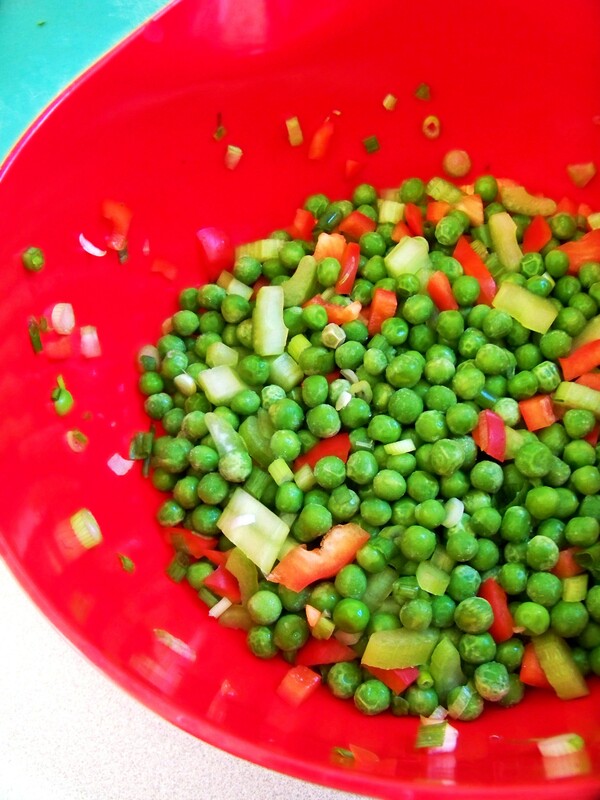 Maybe I can make more Pea dishes….*snicker*. Dice celery, green onions, red bell pepper, and crispy bacon into bite sized pieces. 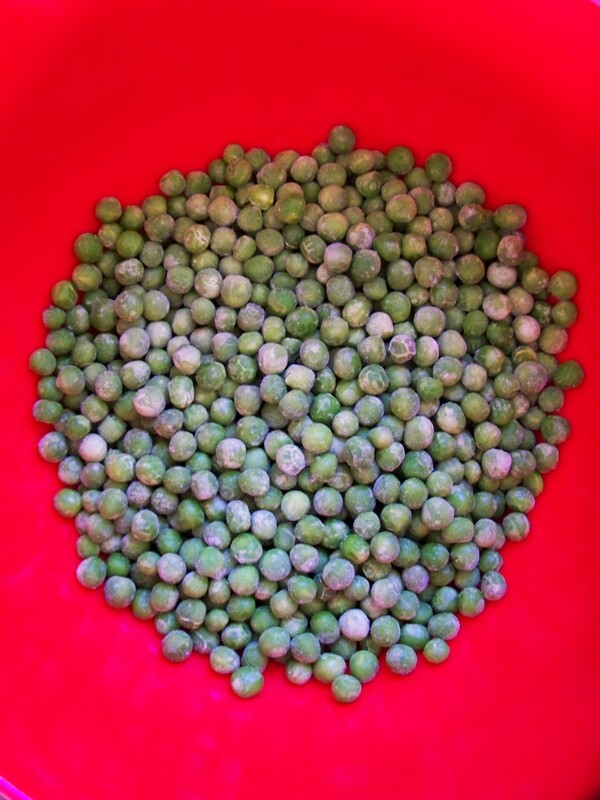 Combine in a bowl with the frozen peas. Stir in the powdered Ranch dressing mix and salt and pepper to taste. Stir in the light sour cream and parmesan cheese. Pour into dish and keep refrigerated until ready to serve. ***If you have any recipes you want to submit for the Sundays with Friends feature each week, please let me know! All I need is a recipe, at least one photograph of the dish, and a little short story about the recipe. You can submit it to TheOnyxPlate@gmail.com. Everyone is welcome! Previous Post Will Cook for Foo: Week 13 – Does God use Photoshop? I need to make another one for us to all have! Totally am going to do this in place of the yearly Seven Layer Salad. This makes waaaay more sense to me, though I’ll be forced to use bacon bits as most of the folks in the family are vegetarian-ish. Thanks for sharing it, because I’ll be real happy when I eat this! Let me know if you add any special “Beaux” touches. I know it will be wonderful!